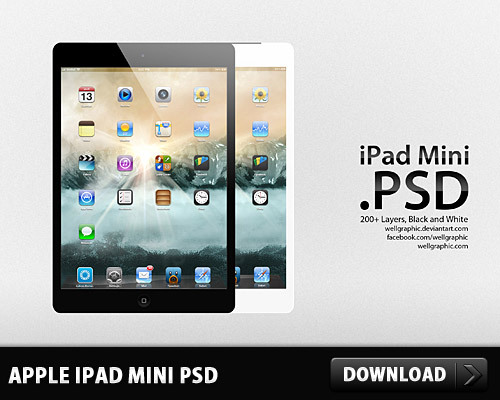 Download Apple iPad Mini Free PSD file. 200+ Layers, Black and White. Enjoy! One Response to "Apple iPad Mini Free PSD"